What a fun book! Did you know that cardamom was mentioned as an aphrodisiac in The Arabian Nights? Or that Cleopatra anointed herself with lavender before getting it on with Julius Caesar and Marc Anthony? And walnuts? Well, I’ll let you find out about this “super food” for yourself. 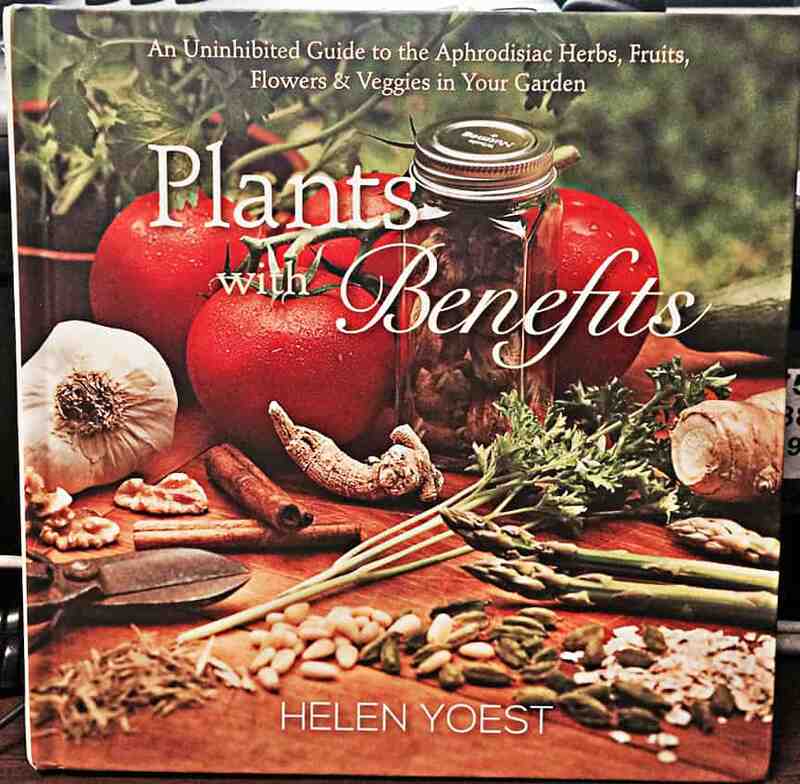 Author Helen Yoest clearly had a great time writing this book and you’ll have fun reading it. I can also see that this would make a great gift for the newly engaged or married, not to mention all garden geeks and foodies.